Question: I can see just fine, so why should I have an eye exam? “It is of great importance to your health to have regular eye exams. You may be able to see well, but that doesn’t mean your eyes are healthy. For example, there are numerous eye diseases (i.e. diabetic retinopathy, glaucoma, and macula edema) that attack vision very slowly and unnoticeably. However, if caught early, they can be treated. One example is a disease called glaucoma. As a silent thief of sight, glaucoma can is a common eye disease that many people don’t know they have. The most common type is pain free and undetectable by the victim. Sadly, glaucoma is one of the leading causes of blindness in the United States. Vision loss due to glaucoma cannot be prevented or restored but, if it is treated early, it can be controlled. “I desire to increase public awareness of the value of early detection of eye problems, proper eye care, and the need for eye safety. We hope that education and awareness can be translated into action to protect the precious gift of sight. I can provide an examination that can spot the first symptoms of eye disease: visual acuity, retinal tears, diabetes, and developing cataracts. We are specifically trained to use certain drugs for diagnostic purposes such as drops (to dilate the pupils) or anesthetic (before tononmeter tests) for glaucoma. “Macular degeneration, an incurable condition, is a leading cause of irreversible vision loss in the United States. It attacks the central portion of the retina (the part of the eye that receives light patterns and transmits them to the brain). Each eye has a macula, a small patch of specialized tissue in the back of the eyeball at the center of the retina. 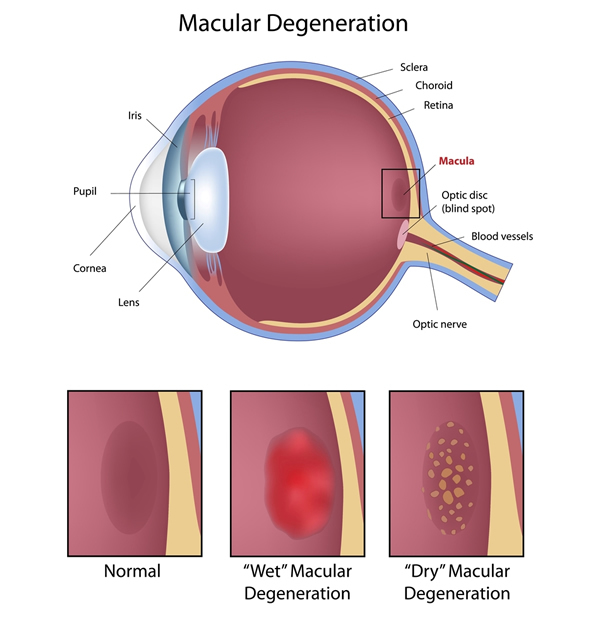 For unknown reasons, the macula in the retina can deteriorate particularly in people over 60; this affects central vision often leading to blindness or partial blindness. It destroys the part of vision for reading and seeing fine details- while leaving the peripheral vision generally unaffected. People who have this disorder develop an area of vision loss that increases in diameter until they are unable to read or even see groups of two or three words at normal reading distance. It usually develops in both eyes with one eye generally more affected than the other. Usually, patients find that low vision aids are helpful. “There is new evidence that shows that at least part of the problem may stem from a lack of certain nutrients. Vitamins and minerals in a healthy diet may reduce the risk of eye disorders such as macular degeneration. Also important are the carotenoids- found in leafy greens, corn, kiwi, and many other green, red, or yellow fruits and vegetables. Beta-carotene is found in carrots and sweet potatoes. But there are others including alpha carotene, the lycopenes (tomatoes are rich in these) lutein and zeaxanthin. Lutein and zeaxanthin may be helpful in preventing age related macular degeneration. A joint study from the University of Texas Medical School Branch in Galveston and the University Medical School in Heidelberg, Germany, measured this pair of nutrients in thirty-six common foods highest in lutein: corn, kiwi, pumpkin, zucchini, squash, yellow squash, red grapes, and green peas. Highest foods containing zeaxanthin are: orange bell pepper, corn, orange juice, honeydew melon, mango, and orange. Question: What is diabetic retinopathy? 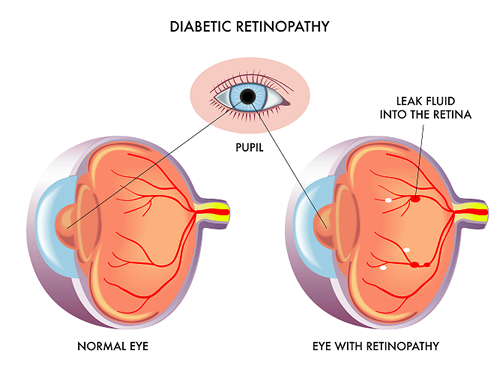 “Diabetic retinopathy is a complication of diabetes and leading cause of blindness. It occurs when diabetes damages the tiny blood vessels inside the retina, the light-sensitive tissue at the back of the eye. A healthy retina is necessary for good vision. Question: How does diabetic retinopathy cause vision loss? Question: How are macular edema and diabetic retinopathy detected? Dilated eye exams. Drops are placed in your eyes to widen, or dilate, the pupils. Our office uses a special magnifying lens to examine your retina and optic nerve for signs of damage and other eye problems. After the exam, your close-up vision may remain blurred for several hours. *Please feel free to contact my office: Your eyes are priceless. 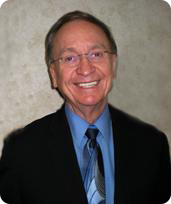 As a primary eye care provider, I strive to safeguard your sight. If eye changes occur that require retina treatment, you will be referred to a specially trained retina specialist for prompt treatment. Today, we are here to review how to protect your vision.